My November Baby Guy Box finally came, and I can finally post my November Baby Guy Box Review! I ordered the Baby Boy Box, even though we’re Team Green and don’t know if Baby #4 is a boy or girl yet. I figured the Baby Boy Box would be more gender neutral, and I believe I was right. My favorites from the box were the chocolate, the bib, and the dragonfly toy. If you’ve ever had a silicone bib like this one, you know how convenient they are, and so easy to clean! I really like the idea of the nursing cover, but I wish it was a different color. Heather grey just makes it look like a t-shirt, honestly. They have other colors and patterns that I would have rathered, but hey, this one was discounted (based on the total value of the box versus what I paid) so I guess I can’t complain. The spoon is nifty, but it seems a little hard for a baby’s mouth. 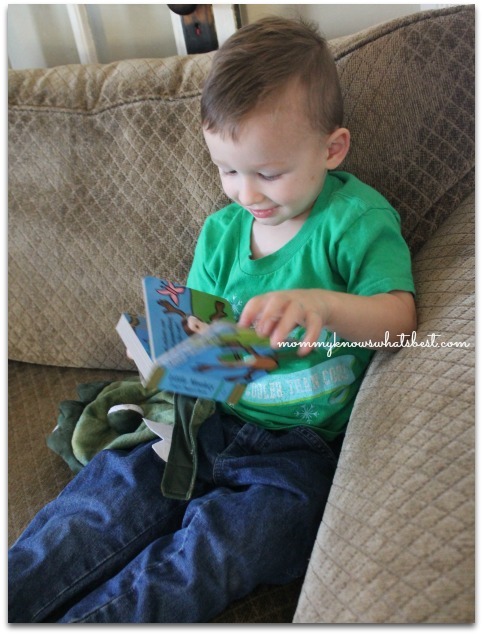 I was going to save the book for the new baby, but my toddler got a kick out of it so he’s keeping it for now. For the past few boxes, I broke down the price for each item in the box since a lot of people are asking me if the box was worth the price. Short answer? Yep! What do you think? I’d say it was a good purchase. 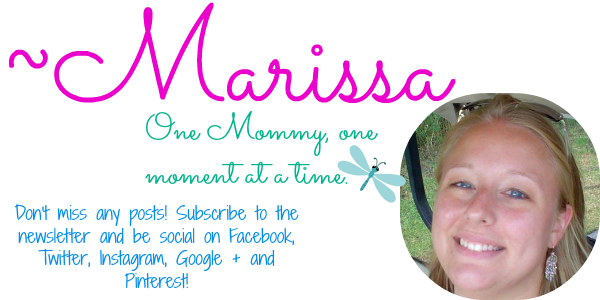 Stay tuned to TheBabyGuy’s Facebook page for announcements about the next round of boxes! I’m assuming he’ll be chatting about them soon. I believe the next box will be available for purchase soon! Even if you don’t plan on getting a full sized box, you can still check out the individual products above by clicking on the links. 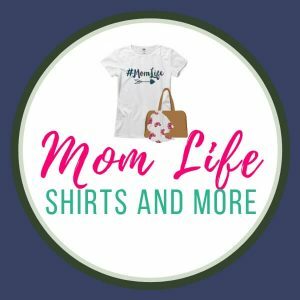 Many of these items would be great for baby shower gifts too! 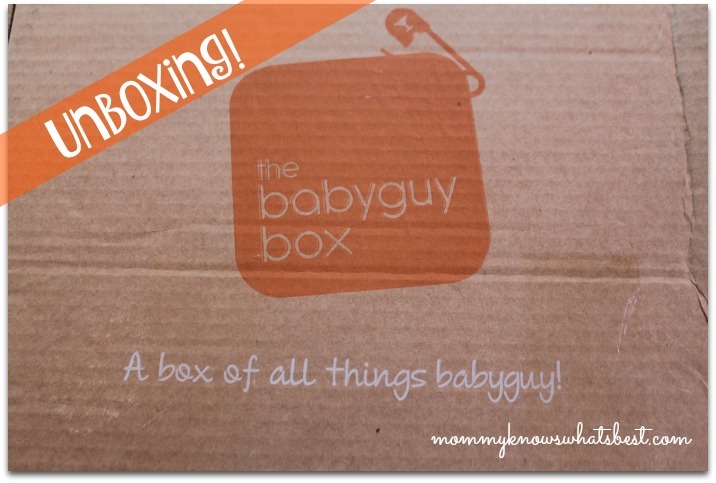 There are also boxes for sale at a discount on the BabyGuyBox.com site. Check those out as well. 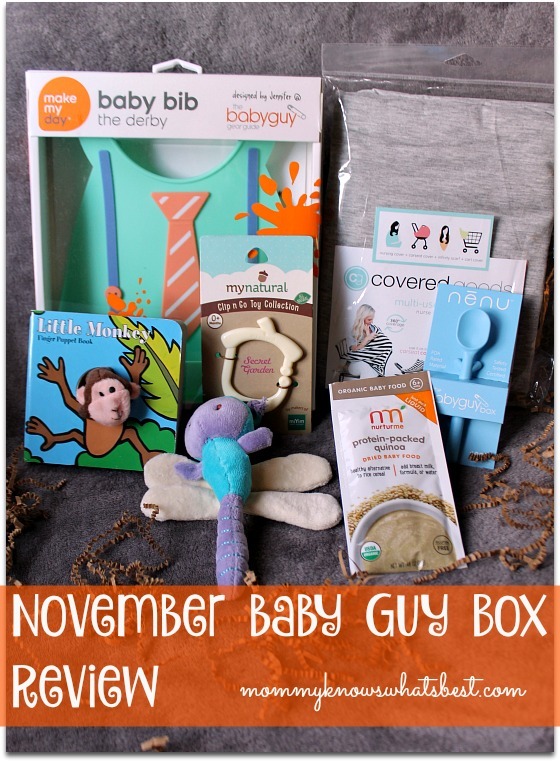 Did you get a November Baby Guy Box? Which one did you get? Would you get one in the future?